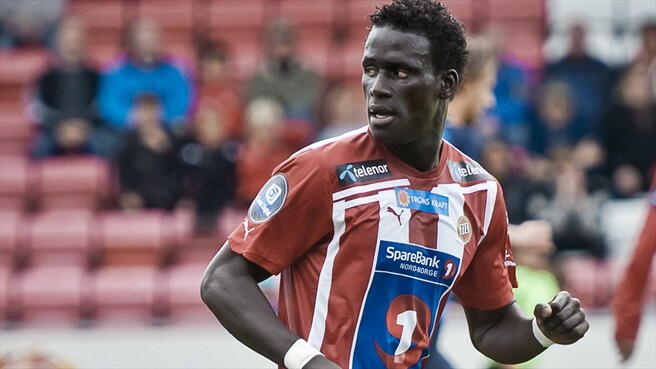 Newcastle United have been linked with Racing Genk midfielder Kara Mbodj. The 25 year old defensive midfielder can also play as a center back and has been scouted by the Magpies over the last few months. Kara a Senegal international joined Genk from Tromso in Norway for about £1.6m in 2013 and is contracted with the Belgian club till the summer of 2018; Genk are looking at a fee of around £7m for one of their prized assets. Along with the North-East club Glasgow giants Celtic too have been heavily linked with the combative midfielder. With Newcastle already well stocked in the midfield department, and with the 2015 African Cup of Nations on the horizon, the transfer does not make much sense unless one of our high profile players is set to leave. Moussa Sissoko and Cheick Tiote have been heavily linked with moves away from the club in recenet weeks but, as the Chronicle reported this monring, it is unlikely that either player will leave in January.